Every so often I like to make fun little treats with the kids. 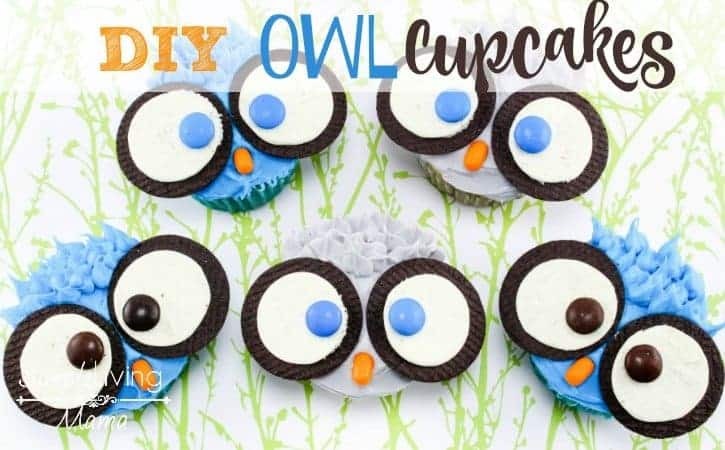 These DIY owl cupcakes are ADORABLE! They go perfectly with my owl unit study. 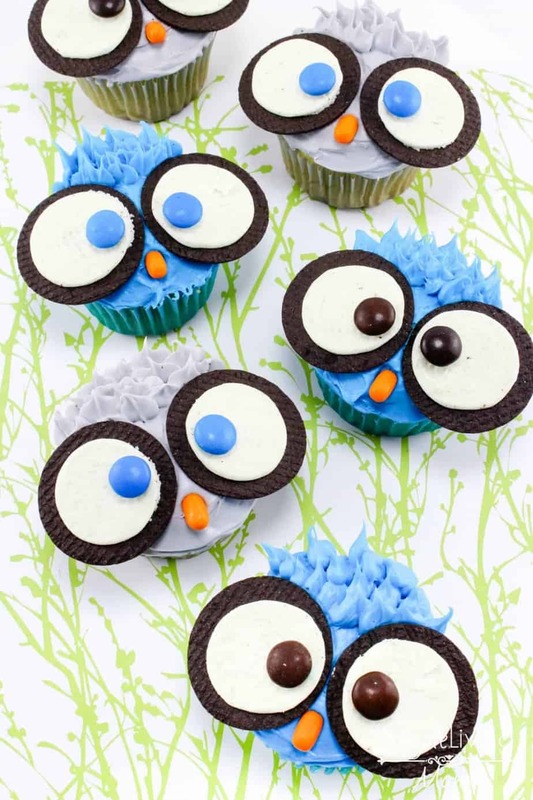 If you have an owl themed birthday party coming up, these would be easy and fun to make, too! 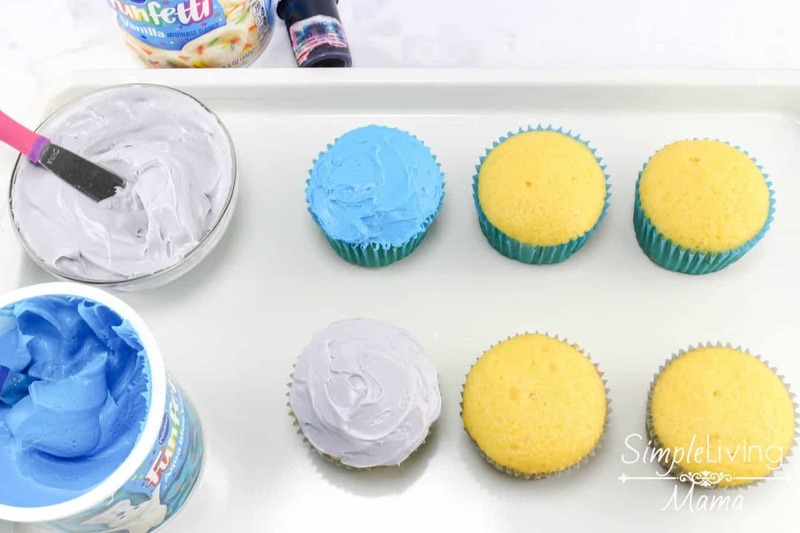 You have to see how simple it is to put these cupcakes together! First, you need to gather your ingredients. First mix a few drops of the black food coloring into about ¾ cup of white frosting to make a light gray color. 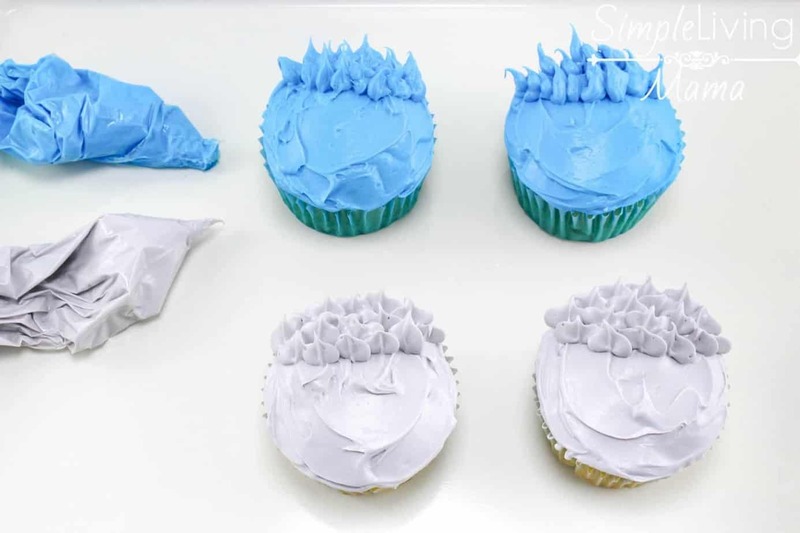 Next, frost half the cupcakes with the blue frosting and the other half with the gray frosting. Open cookies gently so the white filling stays on one side of the cookie. Set aside the halves with no filling, you will only use the filled sides. Place two cookies on each cupcake to look like big owl eyes. Place an M&M on each cookie to represent the eyeballs. 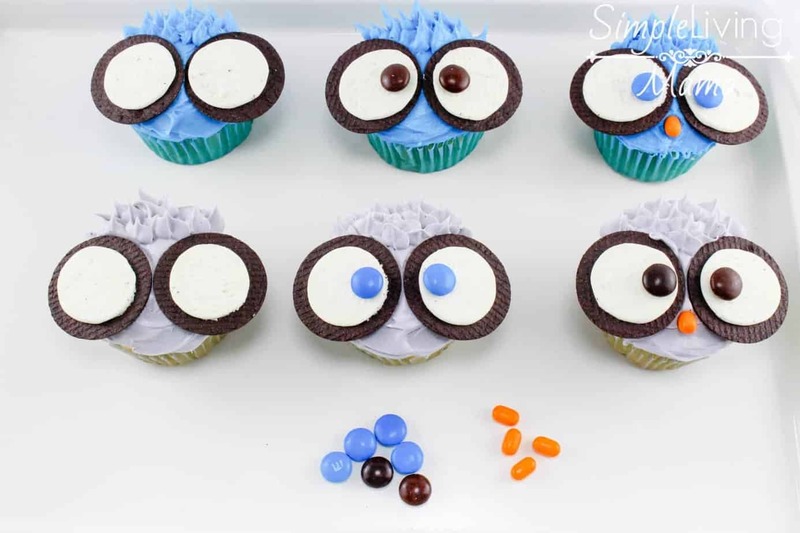 Put a Tic Tac on each cupcake right underneath the cookie eyes, so it looks like a beak. And that is it! 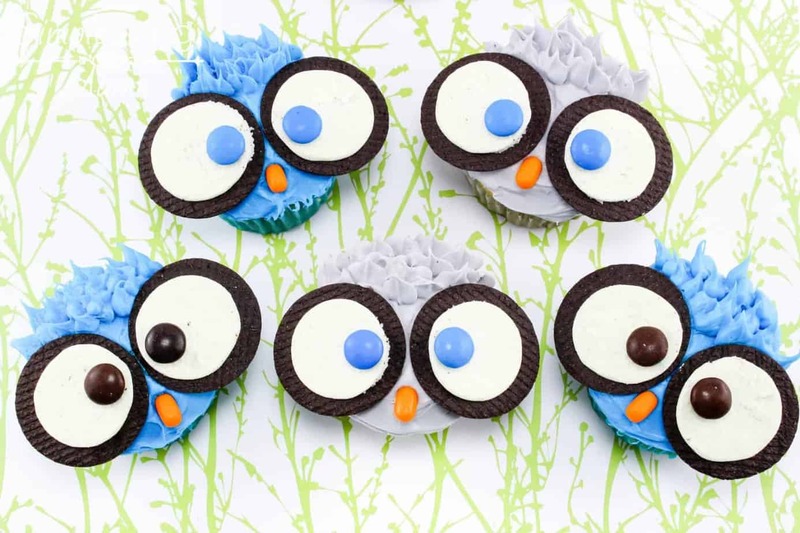 Now you have absolutely adorable DIY owl cupcakes. 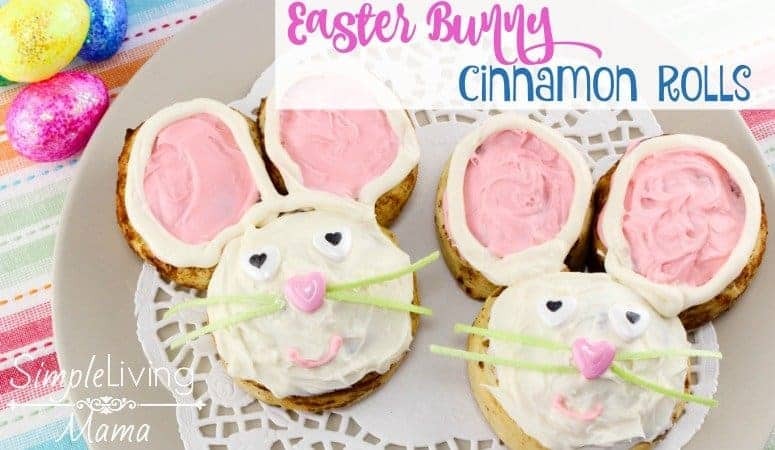 My kids absolutely love helping me in the kitchen, and this is the perfect treat to make with them. Want to get your kids involved in the kitchen? My First Kitchen Binder for Kids is a super fun way to teach your kids all about working in the kitchen. 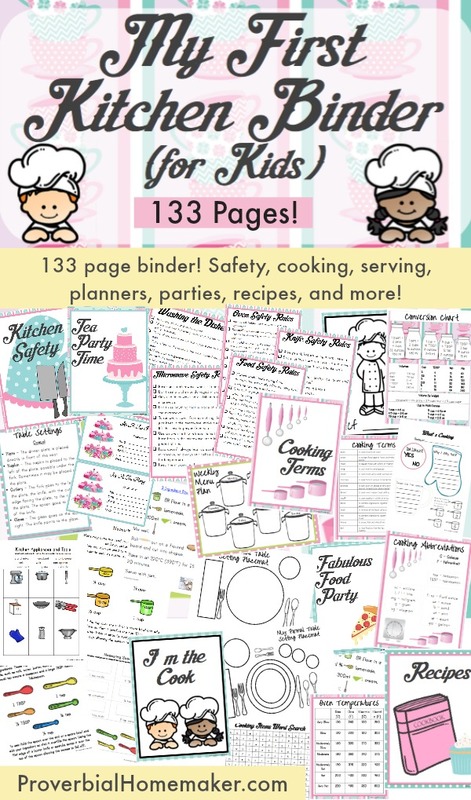 If you have a daughter like mine who loves to plan parties, this binder will help her get started! What’s your favorite thing to make with your kids? Thanks for the simple idea! 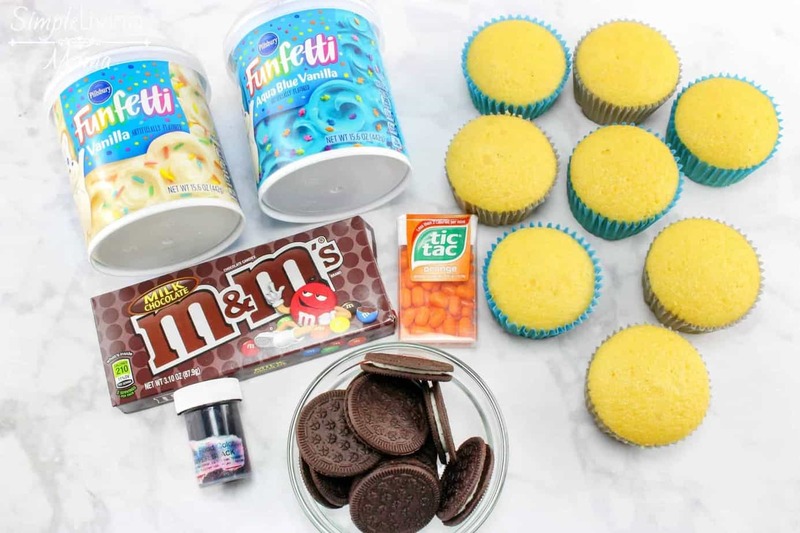 I need to take cupcakes to a 2nd grade classroom and this will be a big hit!